The main reason for writing on a Sunday at all is the excitement at being (somewhere deep at the back of) a supplement with The Observer today called The Future 500. More on that below. I have been quiet on the blogging front because I was out of the country - a few days in Morocco visiting the Morocco apartments my fiance's family are doing up. We had a wonderful time, met great people and sampled some brilliant food. It felt a million miles away from London - especially since it was warm and sunny! While I was there, I (finally) read Good to Great (following much badgering by Rand and especially Gillian). Gillian even flew to London to badger me to read it (OK, that's a bit of an exaggeration). Somehow in the chaos of everything I realised we haven't written about the great day we spent with Gillian and Scott in London. I'll try to rectify that - in the meantime, the photo on the right shows them with the Distilled crew (minus Duncan who was playing sport and joined us for dinner). 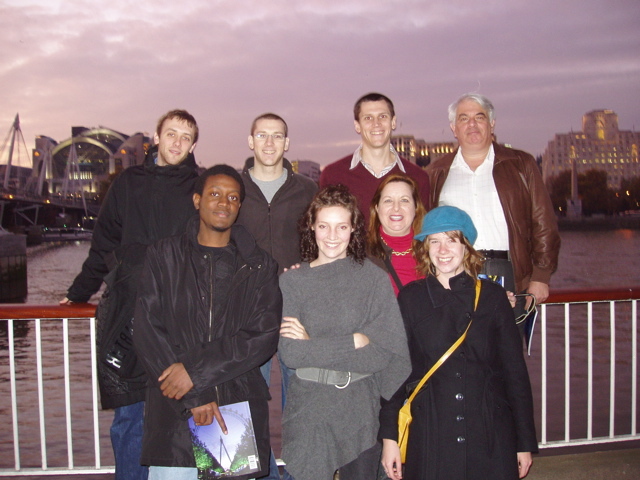 We're seen here just after getting off the London Eye. Anyway, Gillian's badgering worked and I read the book. We have many lessons to learn from it - we're still digesting everything it has to say (and Duncan is reading it now). A big part of what we need to learn is about working out exactly what we can be best in the world at (and enjoy, and make money doing) and then truly focussing on that. I'm sure we'll write more about that in the future. Before I went away, I commissioned Suzi, Duncan's fiance to make me a cover for my iPod. I obviously wasn't, however, rating her creativity enough, because I was amazed (and delighted) with the final result that included an embroidered Distilled logo on it! 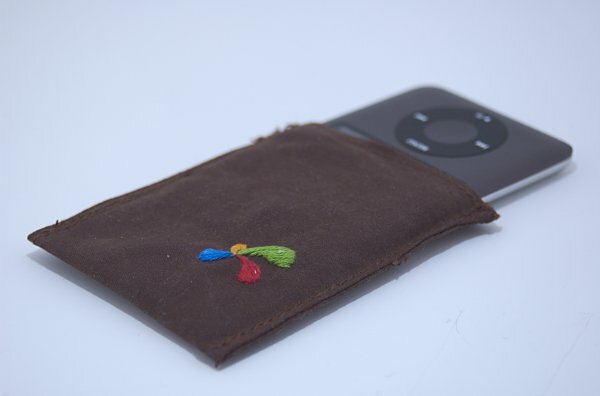 If you want a branded iPod cover, Suzi's your man (so to speak). Before I went away, I received a call saying that we were going to be included in The Observer's list "The Future 500" of people to watch. Obviously we were thrilled (if a little puzzled - how did we get nominated? are they kidding? should we really be on a list as small as 500?). Then natural competitiveness kicked in and you start thinking "well, if we're in the top 500, why not the top 100?" - because the top 100 were profiled in the supplement, while we just appear in a list at the back. Still, pretty damn chuffed. So... watch this space, apparently!